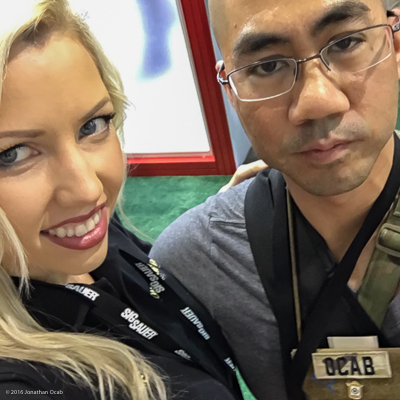 I received a few comments after I posted the first three parts of my 2016 SHOT Show After Action Report (Part 1 – Part 2 – Part 3) inquiring about the lack of coverage of new firearms. Quite frankly, the reason why I don’t bother too much with new firearms coverage is because pretty much every new pistol released is not legal for sale in California (to the general public). Thus, I have no real vested interest in covering them. This sounds a bit skewed, but you have to understand that this AAR is SHOT Show through my eyes. That is why there is 2400+ members of the media in attendance at SHOT Show, each providing their own (hopefully) perspective of the SHOT Show. As far as new rifles, I honestly didn’t see anything much caught my eye. I’m sure there were a few long guns aside from the ‘new’ AR-15 based rifle. I did notice Mossberg revamped their Model 500/590 series of shotguns. Both lines saw a +1 increase in maximum capacity for the 18.5″ self-defense models, but the 500 series saw a new addition to the lineup in the form of the 500 ATI Scorpion. Mossberg 500 ATI Scorpion (left). The Mossberg 500 ATI Scorpion is an 18.5″ Mossberg 500 with an ATI 6-position adjustable stock and pistol grip, ATI heat shield, and ATI side saddle, as well as a removable top Picatinny rail for optics. MSRP is $588 USD, and while on the higher end of the price range for a pump action shotgun, this is an option for someone that wants a more ‘modern’ tactical shotgun out of the box. The Mossberg 500 series has always been a very popular shotgun. It proven to be rugged and reliable, and it’s only real competitor in the pump action shotgun market is the Remington 870. But that’s the rub. The Remington 870 has fallen off in the eyes of the consumer. The general consensus is that Remington factory quality has dropped significantly. We actually started seeing this start several years ago, as certain parts (e.g. trigger guards) were being made out of plastic instead of metal. But more recently, the finish on new production 870s (and more notably the Remington 700 bolt action rifle) are not very resilient to rust. 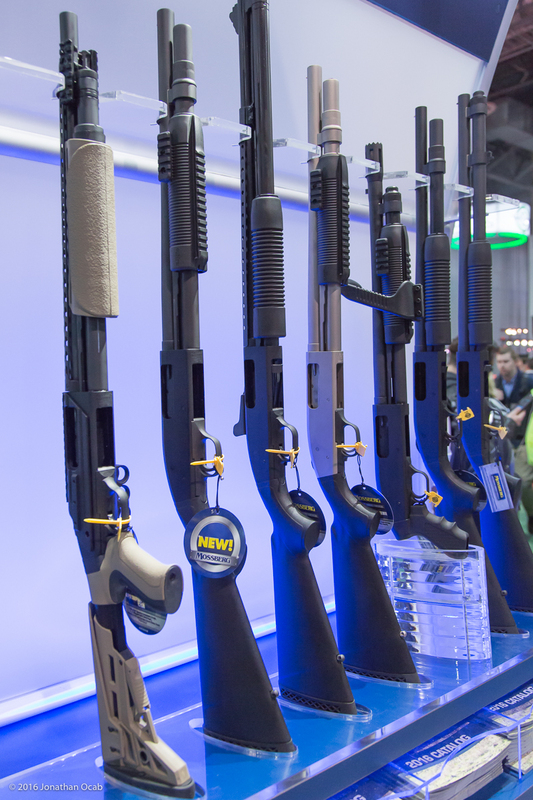 I feel that Mossberg can use this opportunity to take a chunk of the pump action market away from Remington if it continues to improve their already venerable 500 series of shotguns. 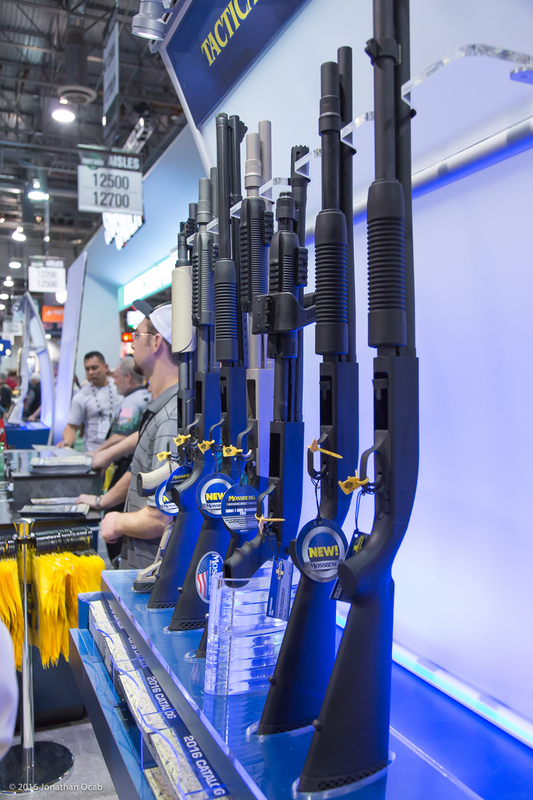 As long as Mossberg maintains quality control, they will own the pump action shotgun market. 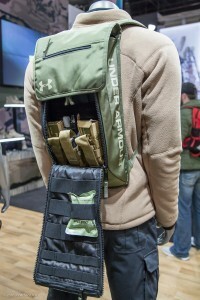 I mentioned SecureIt Tactical in my 2015 SHOT Show After Action Report for their FastBox safes. I bring them up again this year for their CradleGrid System. The CradleGrid System is a three component system consisting of (1) a gridded panel that attaches to wall, (2) cradles / accessories that attach to the panel, and (3) a base for the buttstock of the long gun to sit in. 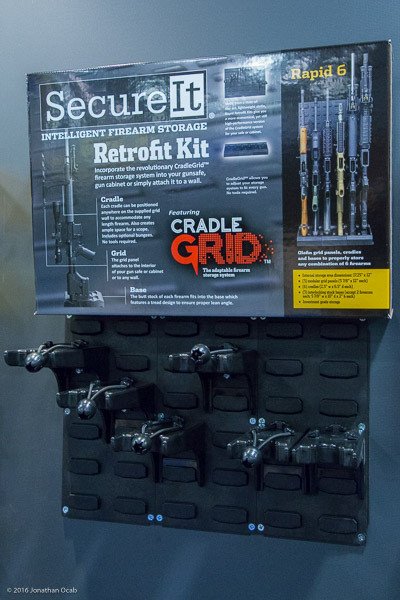 The interesting thing about the CradleGrid System is that you can install it in a lot of places including the wall of your garage or workshop, or the back wall on the inside of a gun cabinet or safe. This can essentially retrofit an existing wall space or cabinet space to be a gun rack. 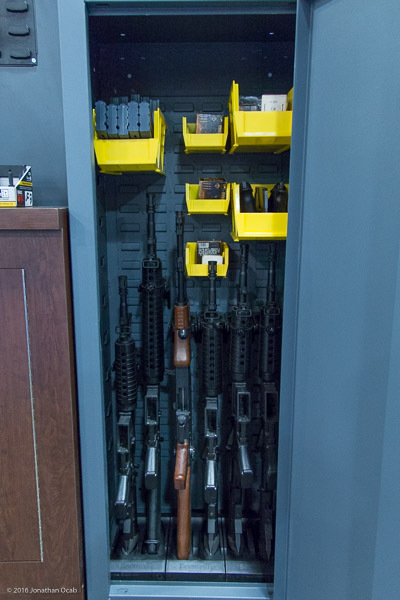 The fact that the CradleGrid System is adaptable for varying length of long guns and types of long guns, it means a person can optimally fit long guns in an existing, retrofitted gun safe or gun cabinet. 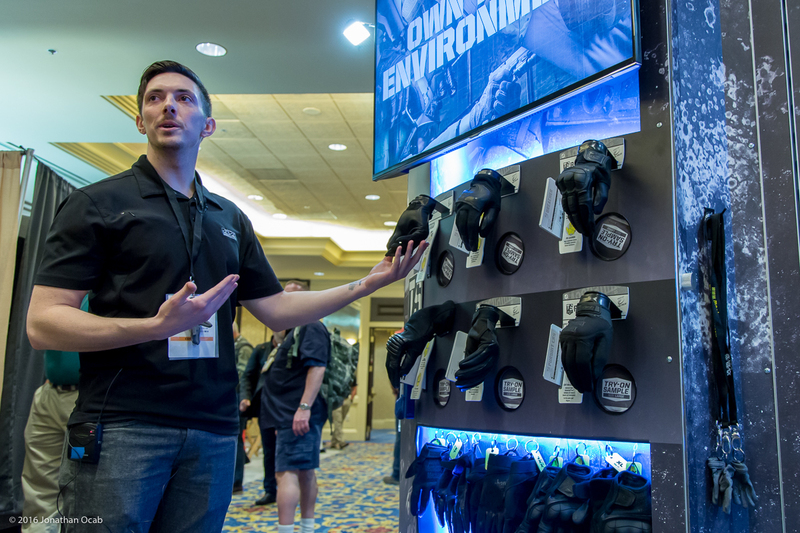 Mechanix Wear was at the 2016 SHOT Show and debuted their new color offering, Wolf Grey, for their existing product line (Original, FastFit, and M-Pact), but also their new Tactical Specialty line of gloves. 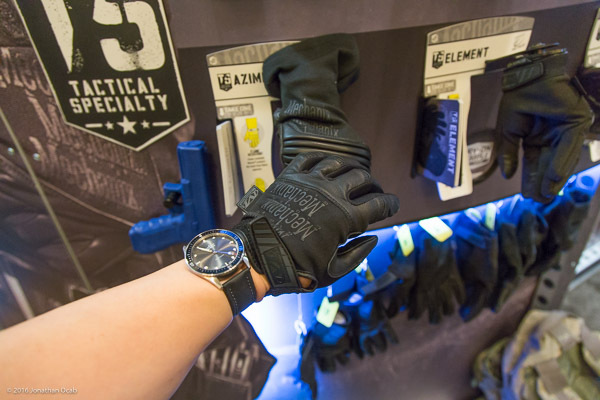 In the TS line, there is one glove that caught my eye and that is the Mechanix TS Recon. The TS Recon very similar to the Hatch Elite Marksman glove that I used to use several years back before they were discontinued (and I wore out my last pair). 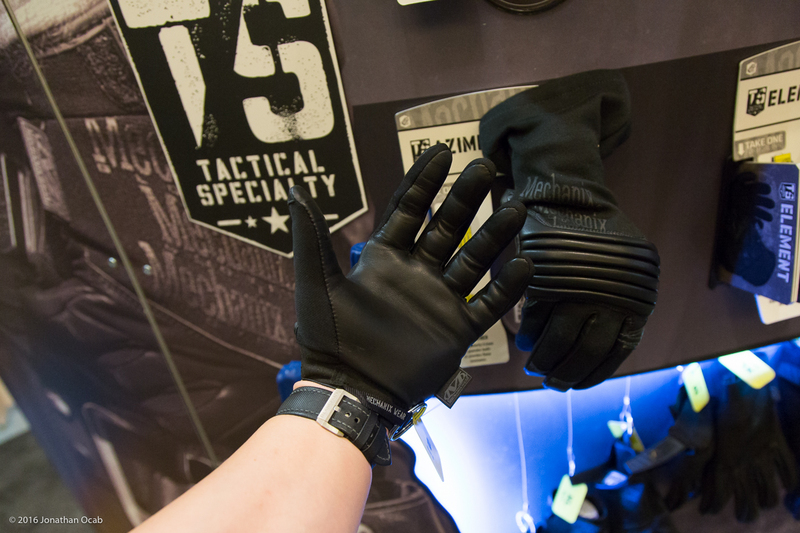 The Mechanix TS Recon has 0.5mm hair sheep leather with a very snug fit. It provides tactile feel while wearing the glove and I can have lots of controls with the fingertips in terms of being to pick small, lightweight objects up by my fingertips. If anyone was a fan of the Hatch Elite Marksman glove and has been unable to find a suitable replacement since it was discontinued, try the Mechanix Tactical Speciality Recon glove when it becomes available. 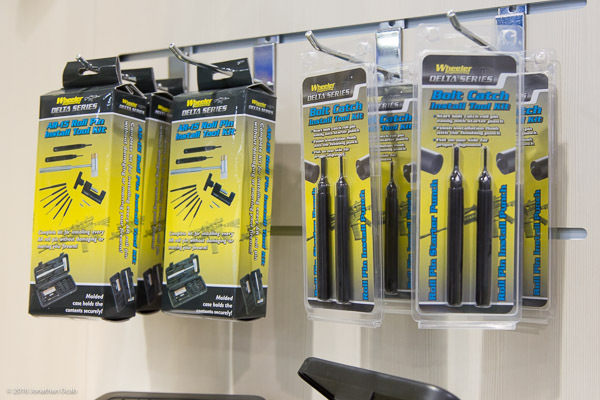 With many people building their own AR-15 style rifles from scratch, there is a necessity for proper tools. Granted, not many people spend the money on roll pin punches, vise blocks, armorer wrench, and what not. Wheeler Engineering (of Battenfeld Technologies) is releasing an all-in-one AR Armorer’s Ultra Kit. This kit is a more inclusive version of their existing AR Armorers Professional Kit, and includes more roll pin punches, including a flat sided one used for installing the roll pin for the bolt catch (I personally use one from Brownells) as well as a tool to push in the roll pin for the trigger guard (I use the Little Crow Gunworks tool). 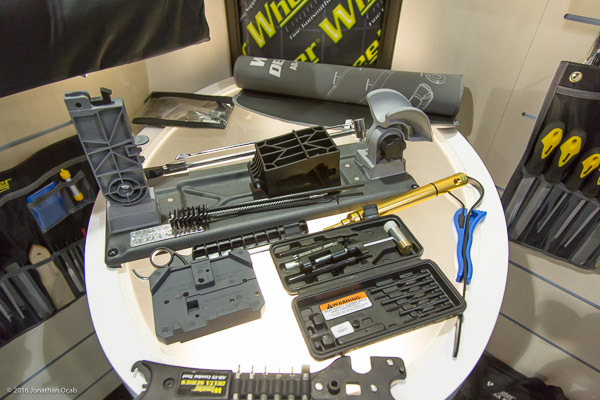 The AR Armorer’s Kit also has their recently released AR bench block, armorers wrench, torque wrench, delta ring tool, and pretty much every tool needed to build and maintain an AR-style rifle. This is a handy kit for someone who is starting out in the world of DIY AR-15 building and/or maintenance, and doesn’t want to piece together a tool kit (which is what I have done). 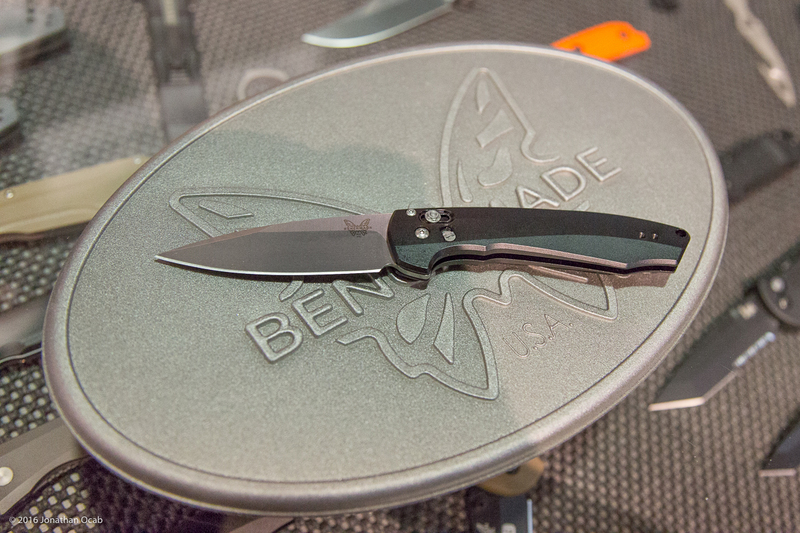 Benchmade Knives had a few new knives on display at the 2016 SHOT Show, but the one I took note of us the new 490 Amicus. The 490 Amicus looks a lot like the 470 Emissary, because it is essentially the same styling, except the 490 Amicus is a flipper action. Bonus: The 490 Amicus is a flipper with Axis-Assist, a spring assist with the Benchmade Axis lock. There is no thumb stud on the knife blade like the Emissary, and instead, the blade is actuated via the blade protrusion on the backside of the frame when the blade is closed. Note that the 490 uses S90V steel instead of S30V used in the Emissary series (470 and 477/477-1), and uses 7075-T6 aluminum as opposed to 6061-T6 in the Emissary series. The 490 Amicus has a 3.20″ blade length, closed length of 4.52″, and fully open length of 7.72″. The Benchmade 490 Amicus is slightly more expensive than the 470 and 470 Emissary and is MSRP’ed at $250 USD. 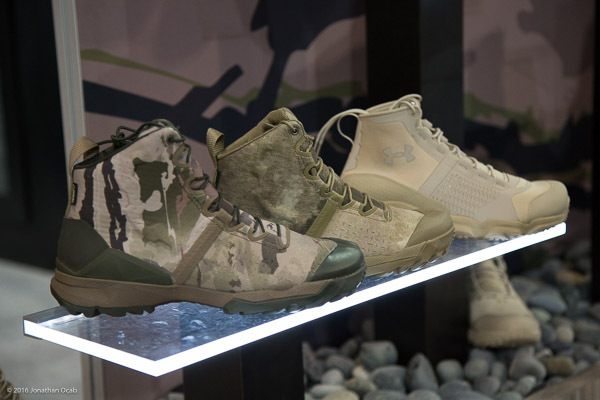 Under Armour appears to be expanding their tactical line even more, showing off some products and styles that should be coming out soon. No details on these items (price points, release dates, etc), but keep your eye out for these items if you like Under Armour. 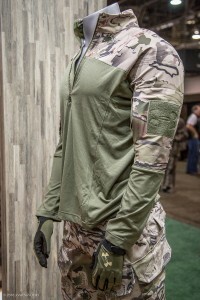 The battle / service blouse is a nice addition to the Under Armour Tactical line. Hopefully they have a wide selection of color options. 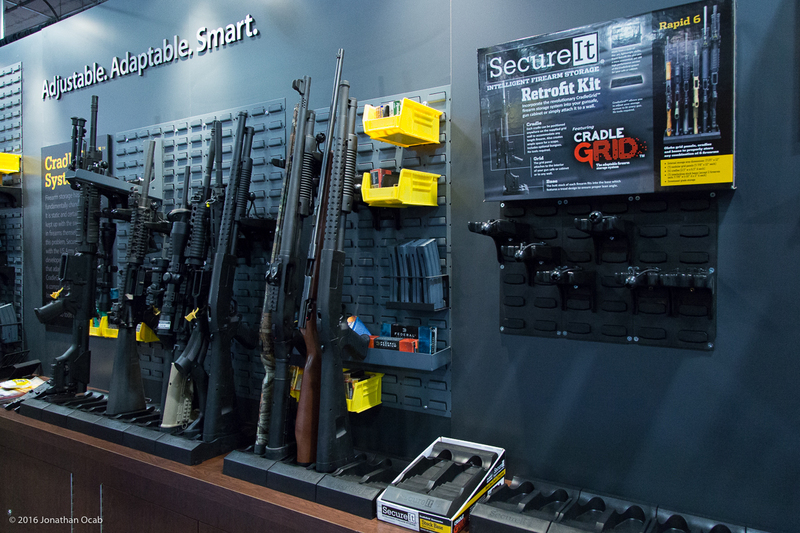 During the 2016 SHOT Show, I encountered a few Internet-based shooting industry names (such as ITS Tactical; see Part 3 of my 2016 SHOT Show AAR). I happened to run into Breanne Ryan aka xo_breanne_xo on Instagram at the Nighthawk Customs booth. Visit the site again soon, or follow my Twitter or Instagram feed to get alerted, and read Part 5 of my 2016 SHOT Show After Action Report which should be posted shortly. Special shout out to Uber in Las Vegas. I like Uber. I hate Las Vegas cabs. Vegas cabs try to rip you off (long hauling you from the airport) and generally cost way too much for a short (distance and/or time) ride. Then top that off with the awkwardness of trying to give the driver a tip. Seriously, if I hand over $20 for a $15 fare, give me back my change instead of expecting me to give you that $5 for tip. Even if I thought you deserved that $5, let me hand it back to you instead of assuming it. Anyway, Uber solve this with a cash free experience. Get in car, get out of car. Done. To address the, “Hey, you could have just walked from the Palazzo to The Cosmopolitan” comments: I was already late to the ITS Tactical / PDW Meet and Greet, and I was tired from walking SHOT Show. 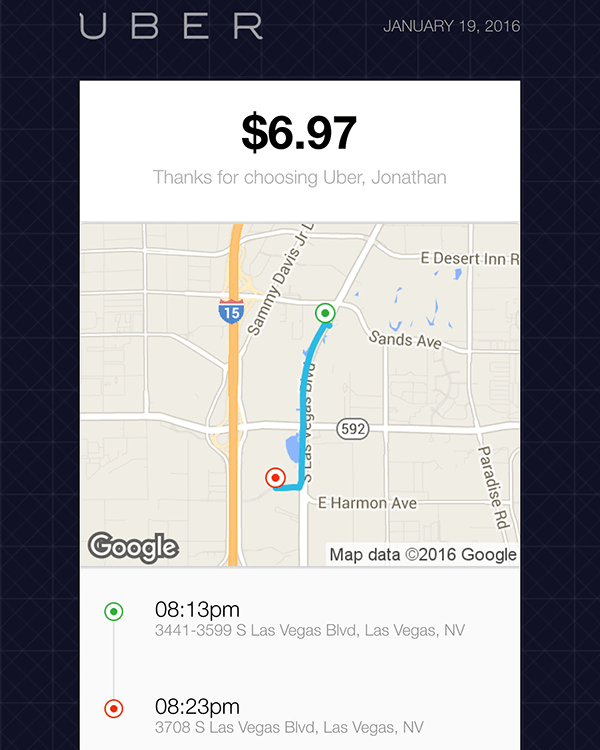 A $7 Uber ride didn’t seem like too much to spend for some convenience.